It’s no secret that cities, suburbs, and the rural countryside all offer very different living experiences. None of these experiences are objectively better or worse than the others, but they’re all very distinct. For example, a city dweller will have easier access to far more culture and entertainment than someone who lives in a rural area. However, they also might be hard-pressed to find a moment of peace and quiet. And while the rural countryside lifestyle is far cheaper than living in the city, you may also find yourself driving hours to get to a movie theater or a grocery store. When it comes to weighing out the differences between urban, suburban, and rural living experiences, it can be difficult to determine what’s true and what’s merely a humorous or exaggerated stereotype. In this guide, we’ll walk through the differences between these living situations and draw attention to certain aspects of living, such as transportation, commute, lifestyle, and more. This is a hugely important factor in deciding where you want to live. We all operate on a budget, whether it’s large or small. None of us have an infinite amount of money to spend on a house or apartment. We must decide how much we can realistically afford to spend on our house or apartment. Since all our budgets are different, it's important to know how much you can expect to pay in each type of setting. It’s difficult to ju dge which is more expensive to live in — the city or the suburbs. While you might expect that housing prices in cities are higher than anywhere else, that’s not necessarily the case. The average monthly rent in an urban setting is $1640. The average two-bedroom apartment in NYC is $3411 each month, as of September 2017.Of course, this information should be taken with a grain of salt. Some cities, such as the obvious example of New York City, have rent that’s astronomically higher than this average. And that’s a decrease from last year. Other smaller cities will most likely offer much cheaper rent than the larger cities. Beyond this, neighborhoods in different cities will have differing price ranges. To continue with our New York City example, rent in the East Village will be far more expensive than rent in the South Bronx. And of course, these figures, while accurate, are hard to trust. After all, many city renters are flocking to the suburbs to find cheaper rent rates. There’s so much variation from city to city, suburb to suburb and neighborhood to neighborhood. The only way to know for sure is to look at the city and suburbs you live in and compare the two. If you have your heart set on living in the city but think you can’t afford it, consider looking in a different neighborhood, or in a smaller city altogether. You might be surprised by the affordable prices you can find. On average, suburban living spaces tend to cost more than urban spaces, which may come as a surprise. The average monthly suburban rent comes in at $1695, just over $50 more expensive than the urban average. While $50 may not sound like a lot, it can add up very quickly when compounded over multiple months. Again, however, expect some variation in these numbers. Different cities will create different types of suburbs that lead to different costs of living. Beyond this, suburbs naturally divide further into smaller neighborhoods. Naturally, some of the neighborhoods will be more or less expensive than others. Rural living offers the lowest housing prices, by far. Now, this isn’t to say that there aren’t expensive, luxury houses in the country, but they tend to be few and far between. In almost every situation, country housing prices will be much more affordable than urban or suburban costs. Keep in mind that even though you’ll be spending less on rent in the country, you may end up making up the price difference in other ways. Depending where you live, you may need to drive 30 minutes or an entire hour to reach your grocery store, a mall, a movie theater, or even your job. With gas prices as what they are, this can add up very quickly. Transportation looks vastly different in urban, suburban, and rural communities. In some situations, you’ll find yourself riding trains and subways, in others it’ll be almost entirely cars and in still others, you can do a lot of walking. 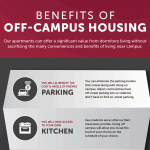 Each living situation offers possibilities, and it comes down to which are most convenient for you and which fit the most neatly into your lifestyle. When you live in a city, your transportation situation will be greatly dependent on what size city you’re living in. If it’s a small city, you’ll likely still own a car and use it to drive yourself everywhere. You might also walk some places on foot if they aren’t too far, but you’ll probably be very dependent on your car. If you’re looking at bigger cities, however, a car might not be necessary. Instead, you’ll ride a subway, train, bus, or other form of public transportation everywhere you go. Otherwise, you’ll walk. Having a car in a big city simply isn’t practical — the traffic is crazy, there’s no place to park and it’s often faster to walk than to drive. All of this means you’ll save big on things like gas bills, car insurance, and car maintenance, not to mention the cost of buying a car itself. In exchange, however, you’ll have to buy things like bus passes, metro cards, and similar items to let you access your cities public transportation systems. This is an in-between situation where you’ll likely have a few different options. You’ll almost certainly need a car if you live in the suburbs. It would be very hard to live your daily life without one. However, depending on your city, the public transportation systems may extend out into your part of the suburbs. You may also still be able to get around on foot, depending on your neighborhood and how close you are to shopping centers or local business districts. If you’re living in a rural setting, there’s typically no way around it — you’ll need a vehicle. There is no other way to get from place to place. This can be a positive thing. You don’t have to worry about buying public transportation passes or the hassle of learning your way around bus stops and subway stations. Of course, this also means that now you must worry about things like car maintenance and repair, insurance, and other responsibilities that go along with owning a car. However, being limited to driving can also be a negative. If you love walking down the street to your favorite coffee shop or window shopping as you walk along a busy street, these activities will be off the table unless you feel like driving into the city and parking your car somewhere first. Space is important to all of us. Whether you live by yourself, with a roommate or spouse or with a family of 10, you need your space. However, some of us are content with a tiny studio apartment, while others prefer a large house with a sprawling yard. Neither is right or wrong, and both can be perfect for different people. Urban, suburban, and rural settings offer wildly different amounts of space, with some small variations. Urban settings typically do not offer much space. Of course, there’s an exception to every rule, but this rule is pretty hard and fast. Apartments come in all shapes and sizes, from studios to sprawling multi-bedrooms palaces. However, large apartments are scarce and tend to be very expensive. The odds of finding yourself in a small apartment are very high. Even if you do manage to snag a gorgeous four-bedroom apartment, you might have little to no outdoor space. You may have a balcony, but it will likely be your only private outdoor space. If you don’t have a porch or balcony, you’re probably don’t have any outdoor space at all. A house will be very similar. If you do find a house in the city, you may also gain access to a tiny, fenced backyard. Even in this scenario, however, any yard you do have will likely be very small. Cities, by definition, tend to be lacking in space. They consist of thousands or millions of people all cramped together in a small amount of space — naturally, there isn’t a lot to go around. If space is something you feel you need a lot of, and particularly outdoor space, this may be a serious drawback for you. As is often the case, a suburban setting marks a great balance city and country — in particular, the amount of space offered by each. In a suburban setting, houses will likely be bigger than any in the city. Three- and four-bedroom houses are common, as are houses with multiple stories, basements, and garages. Unless you have an enormous family, you’ll likely find all the indoor space you’ll need in the suburbs. There’s also more outdoor space in the suburbs. You’ll most likely have both a front and a back yard, although the size of these yards will be dependent on what kind of neighborhood you live in. It will most likely be relatively small — at least when compared to the yards you’ll find in rural settings. You may also find yourself in a suburban apartment, townhouse or housing development. Most apartments and townhouses will have less indoor space than traditional houses. It’s also important to note that most developments, whether they’re communities of houses or apartments, will likely have less outdoor space. If you’re the type of person who craves plenty of space, then rural living might be for you. In rural settings, you’ll have enough space for anything you can imagine. The houses are roughly the same size as the houses you’ll find in the suburbs, although you may be able to find larger houses for more affordable prices, since many country houses are older. The real treasure here is the amount of outdoor space. Of course, not every country house has a large yard. There are plenty of small towns in rural areas where houses have very small yards. However, country houses tend to have more outdoor space, generally. Plenty of these houses sit on lots of multiple acres, and some properties contain woods, streams, ponds, and other natural wonders. You’re also likely to have more space between you and any neighbors in rural areas. Again, this isn’t always the case, as on the main streets of many small country towns. But most of the time, you’ll be able to enjoy your outdoor space without being three feet away from your neighbors. While the answers to this category might be obvious, it’s still worth mentioning since commute time is such an important part of every working adult’s life. For many people, a commute can make or break a job offer or potential housing situation. If you live and work in the same city, you’ll most likely be quite close to your place of work. Your commute will either consist of walking, accessing public transportation or both. If you do use public transportation, an excellent way to make your commute less painful is to multi-task during it. You can answer emails on your phone on the bus, listen to an audiobook, or engage in any other activity that might be difficult to do if you had to drive. In a suburban setting, you’ll probably have to drive to work. The good news is that this will likely be a short drive. Even if you commute, most suburbs are within 30 minutes of the city. The advantage of driving to work is that you stay out of the elements you’d be exposed to if you were walking, and you get to stay away from the lovely sights, sounds and smells of public transportation. Unless you’re lucky enough to work someplace in the country, you’ll most likely have to commute to the suburbs or the city. This can add up to a lot of hours in the car, especially when you consider the amount of time you’ll spend in rush hour traffic. Again, however, you get to make this drive in the comfort of your own car, safe and sound from any elements. This long drive also might provide the slight advantage of giving you time to wake up in the morning before you arrive at work. This is a much less definite category than some of the others. Lifestyle can encompass a wide range of things, and likely means something slightly different to everyone. Nevertheless, it’s an important aspect of deciding where to live, as everyone has a different way of living. Do you love culture? Nightlife? Shopping? Music, theaters and museums? Do you love unique restaurants and dining experiences? If so, the urban lifestyle is for you. If you live in the city, you’re only a quick walk or a bus ride away from the most current trends in entertainment, the latest fashions, and the most up-to-date thinkers in the world. World-class concerts and plays are more likely to make stops near you. New stores and trends will hit your location first. You’re more likely to meet people from all over the world and have access to famous speakers and events. People come from all over the world to gain access to this level of culture, and you could live right in the middle of it. The urban lifestyle is also extremely fast-paced. While you’ll certainly find all kind of people in any city, most city-dwellers tend to adhere to a more urgent pace of living. Something is always happening, and people tend to be slightly more aggressive and less likely just to stop and smell the roses. All kinds of people live in the suburbs. You’ll find single people, elderly couples, and newlyweds. However, it’s impossible to deny the overwhelming number of families you’ll find living in the suburbs. Suburbs are a great place to raise children. You’re close to businesses and organizations your kids can join, the schools tend to be fairly good and you’re still close to the city, where you might work. You’re also probably surrounded by other families with children who your kids can be friends with. While anyone can live in and enjoy the suburbs, they’re particularly beneficial if you have children. Once again, the suburbs seem to have the perfect balance of urban and suburban cultures. You’re still just a short drive from all the culture and happenings of the city life, but you also have the options to pull back from the entire bustle and retreat to your quiet neighborhood at night. There will be plenty of days in the suburbs where life is so quiet you might forget how close you are to the city. The rural lifestyle is, in many ways, the opposite of the urban lifestyle. If the urban lifestyle prizes an aggressive, go-getter attitude, the rural lifestyle is much more focused on enjoying the simpler things in life. Of course, this is a generalization, and not everyone fits into this category at all. People who live in the country often drive all the way into either suburbs or the city for work, so it’s entirely inaccurate to imagine country-dwellers as uncultured or anything of the sort. However, it’s true to say that it’s much more difficult to drive into the city for a concert, a museum, or anything else of this sort if you live in a rural setting. For lack of a more elegant phrasing, there’s a lot less to do in the country, so life just tends to move at a slower pace. This doesn’t mean you can’t get a great job, have friends, or have fun if you live in the country. It just means you might have to look a little harder for entertainment than you would if you lived in a city. The rural lifestyle can be wonderfully refreshing. If you love nature, quiet activities such as reading or very full-time hobbies that would be difficult to pursue in a more distracting atmosphere, the rural lifestyle might be just the ticket. It doesn’t matter if you think you’re more suited to urban, suburban, or rural living. At PMI, we’ve got apartments and townhouses for rent to suit every taste and lifestyle. 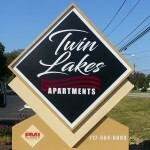 Our comfortable apartments are spread throughout central Pennsylvania. Check out our rental listings today.